This recipe was something I threw together with ingredients I had on hand in the house. We are in the middle of another snow storm and I have not been to the store yet. It was a hit! In a large skillet over medium high heat whisk together the chicken stock, ranch, and 1/2 of the cheddar cheese. Add in the buffalo sauce. Reduced heat and let simmer for 10 minutes. 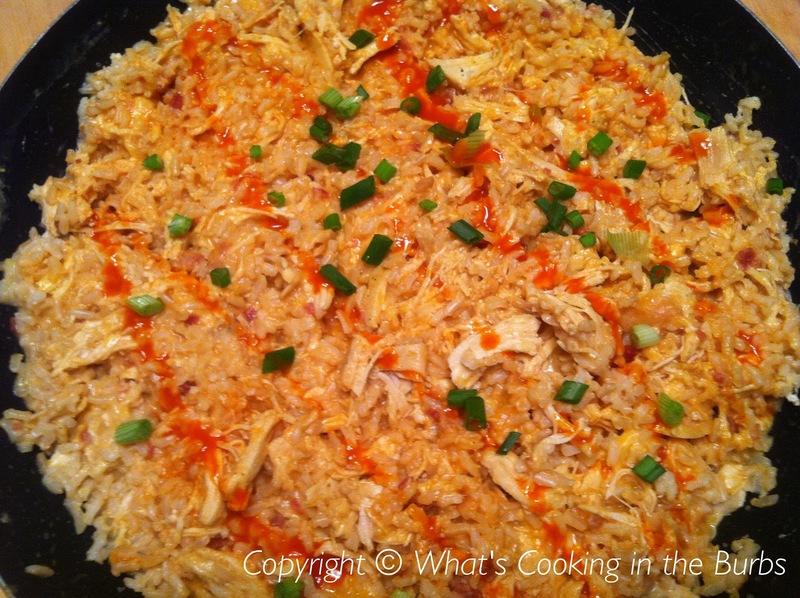 Stir in cooked rice, chicken, and bacon. Top with remaining cheddar. Once cheese is melted top with green onions and additional wing sauce if desired. Enjoy! Hey Bridget I have 4 Buffalo recipes I've made recently and we loved them all. I will have to add this to my "try" list. I always love your recipes. 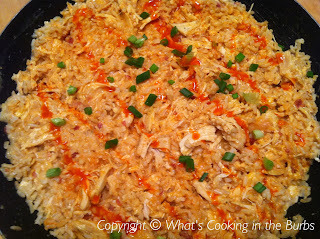 Sucker for rice...so I definitely mixing in the buffalo sauce. Great combination..